Part of Ben’s fourth grade art curriculum includes a look at Gothic Architecture. We live in the age of the computer, and I couldn’t be more thrilled. What we can see in little pictures in a text-book, can be turned into a vast and glorious walking tour online! 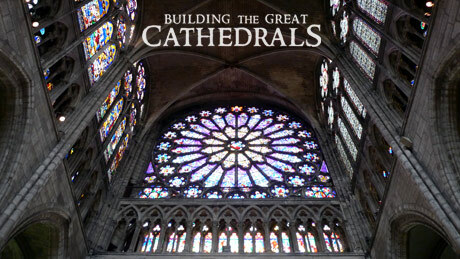 This week, we looked at Cathedrals and their architecture, viewing a fantastic NOVA movie online about the building of Cathedrals and the art and geometry behind the building. 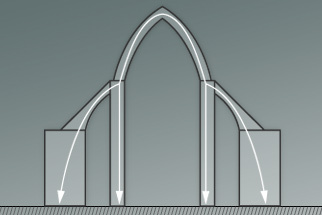 There was an in-depth look at the reasons behind why pointed arches worked better than rounded arches and allowed the builders to go so high and light and use the windows letting all that light in as architectural features. It was really well done, and interesting enough to captivate my nine-year old throughout the whole hour-long program. At the end, there was an interactive Build Your Own Arch feature that was really fun. As this was our first little day-long adventure into Art History, I think it went rather well.